We have a dedicated team that specialise in the installation of branding for any flooring surface. Our team can brand any Timber, Vinyl, Rubber or Entrance Matting installation using a variety of application methods. Your brand identity is what leaves a lasting impression with your customers so utilise the biggest advertising space in your business and get your brand recognition in the forefront of every person who walks or exercises on your floors. We have a specialist team that is made up of designers and installers that are able to brand any Timber, Vinyl, Rubber, Platform or Entrance Matting flooring surface. All we need from you is a copy of your logo and our team will do the rest. Depending on the surface; Your logo will be applied in one of three ways. Painted on directly, a transfer or weaved as part of the fabric construction. Gymflooring.co.uk understand the importance of brand recognition and now more than ever in the constantly expanding health & fitness marketspace your identity counts for something. 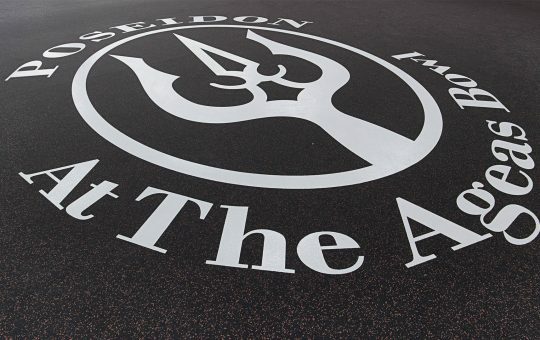 Our team has been branding floors in Sports Halls, Chained Gym Providers, Boxing Gyms, Fitness Centres and anywhere in between regardless of the flooring that has been installed. We have branding solutions for timber, vinyl and rubber applications so you can really benefit by branding your floor as an extra marketing tool whilst effortlessly boosting your brand’s recognition. We offer branding options on our GF Lifting Platforms to keep your logo constantly on show. This is an extremely valuable way of keeping your identity at the forefront of your user’s minds. 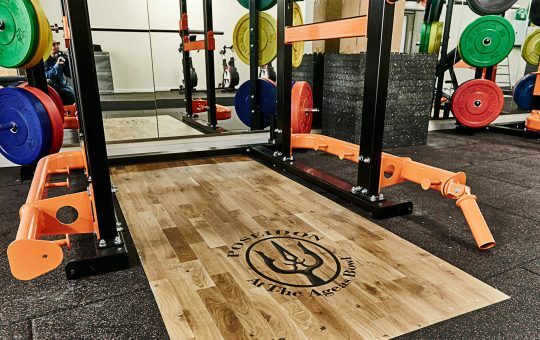 Added benefits of branding your flooring & platforms include free advertising when your users post selfies of themselves training or using your workout space and equipment. Instantly impact any users or visitors with branded entrance matting. By branding your entrance matting you are ensuring that you brand is the first & last thing a visitor see’s when your arriving or leaving your business. 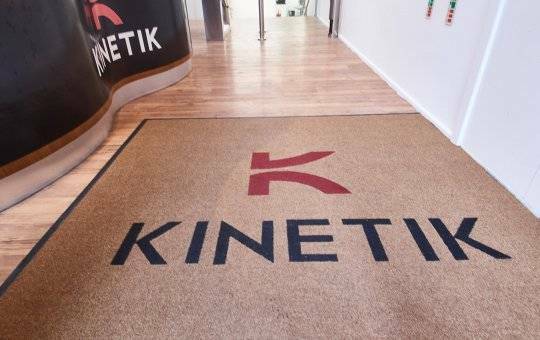 We offer numerous types of entrance matting and all of them can be branded by our flooring specialists.